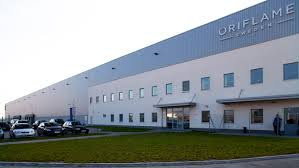 Oriflame came from Sweden and have its corporate office in Switzerland, founded in 1967 by two brothers, Jonas and Robert af Jochnick, and their partner Bengt Hellsten. This people come together with the idea to create a beauty company that would sell beauty products to people without building and investing in shops. Oriflame offers a very wide range of high quality beauty and cosmetics products that every individual who join them will have accessed with full great opportunity to make money and enjoy their travel benefit, becoming their business consultant and also have 20% discount on all their products. Oriflame believe in the combination of search made products and their unique company strategy is the secret to their success. So, they utilize the multi-level marketing and direct sales business model to sell their products and services. That means that the company manufactures the products and has an independent sales force that sells the products directly to those that join the business. Recently, Oriflame was launched in October, 2014 in Nigeria and the opportunity is still open wide to everyone who wants to take this advantage to start their own business and beauty business. Oriflame business does not meant for a specific people, either intended for only women. It is also imply to everyone who want become his own boss because there is a lot of benefit in the business. You can join Oriflame now to know more about them. Feel free to share this with your friend via social button below. For any comments or question, kindly use contact form or comment below.